There used to be a time when those three words would elicit a combination of excitement and animosity from everyone in Northeast Ohio. When the week came where the Cleveland Browns welcomed their longtime rivals from down I-76 to town with bitter hatred and a few dog bones. There’s no denying the rivalry between Cleveland and the Pittsburgh Steelers was one of the best in sports. Spanning over 65 years and pitting two frighteningly similar cities against each other, this duel used to bring out the most intense emotions from both players and fans. There’s a reason everything about this rivalry was just written in past tense, though. Let’s face it – there’s no denying things just aren’t the same anymore between Pittsburgh and Cleveland. The main reason, clearly, is the harsh times the Browns have fallen on while the Steelers continue to contend. As it stands, Cleveland’s seemingly everlasting struggles have sucked the life out of one of the NFL‘s best rivalries. Consider what’s happened between these two teams since the Browns returned to the league in 1999. In that time, Pittsburgh has won two Super Bowls, three AFC championships and has seen remarkable consistency at head coach and quarterback. Way, way on the other side of this spectrum is Cleveland. 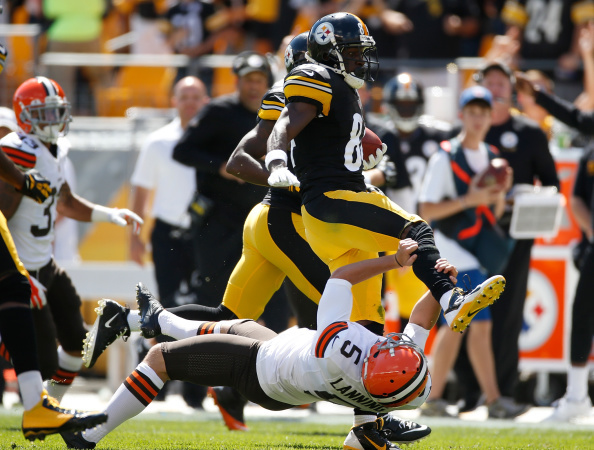 While the Steelers have seen success, the Browns have seen calamity across the board. The team is on its eighth head coach in 17 years, hasn’t found even the slightest semblance of a franchise quarterback and has only ended the year with a record above .500 twice in that time. Clearly, when you have two teams going through polar opposite experiences, it makes it difficult to sell the idea of a rivalry between them. The same can be said for the recent results whenever Pittsburgh and Cleveland meet up. To be blunt, the Browns have struggled to even put up a fight against their arch nemesis these days. They’ve only beaten the Steelers three times since 2004. Only a handful of these games could actually be labeled as close losses for Cleveland. Where the Browns once sized up quite well against Pittsburgh, they now look like the little brother trying to prove he can hang with the older kids before getting his face pushed in the mud again. It’s difficult to imagine a brighter picture within Cleveland’s locker room. Even long-time vets like Joe Thomas and Joe Haden know nothing of what it was like to go through a gridiron war with an enemy like Pittsburgh. They can’t share any classic stories with the influx of youth on the Browns roster. Hearing “Steelers week” hardly elicits the same emotions from those two as it would from players like former quarterback Bernie Kosar or defensive star Clay Matthews. So, while the team may try and sell this weekend’s match-up with Pittsburgh as another chapter in a long-standing war, players and fans likely aren’t buying it. Browns fans know their 0-10 team stands little chance, while the players are trying to muster as much motivation as they can during an overwhelmingly deflating season. Pittsburgh supporters will likely flood FirstEnergy Stadium, waving their towels and watching the Steelers enjoy what certainly looks like the perfect cure for their four-game losing streak. As you can see, saying it’s not the same anymore is an understatement. At the end of the day, revitalizing rivalries is yet another one of Cleveland coach Hue Jackson‘s key tasks in his rebuild. You could argue it’s one of his biggest challenges. He not only has to turn his team into a winner, he also has to earn back the recognition from its long-time rival. Pittsburgh, like essentially the rest of the NFL, no longer respects the Browns whatsoever. A once epic match-up two fan bases looked forward to more than any other is now a bland blip on the radar. It’s become a near-guaranteed win for the Steelers, and yet another sure-to-be lopsided loss for Cleveland. Until this changes, there’s no sense in referring to this as a rivalry any more.